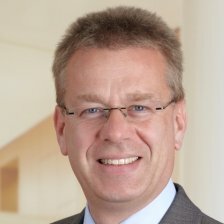 Dr. Thomas Schönfeld is a Director at PwC and Blockchain Leader for the financial services industry. He holds a degree in physics (Diploma) and a PhD from the University of Frankfurt. Thomas has more than 24 years of professional experience in the financial services industry specializing on capital markets and asset management. He is also Head of the Competence Team for Capital Markets Operations with a focus on trading, clearing, settlement, and the safe custody of securities.